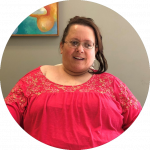 At Exercisabilities, we strive to make lifelong wellness accessible and successful for all. 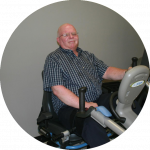 Inclusive fitness is an approach to wellness and fitness services that is medically minded and includes everyone. If you have a medical condition such as diabetes mellitus, heart disease, chronic pain, any neurologic or physically disabling condition, an inclusive fitness center is an excellent place to workout. The facility will have professionals that are well aware of providing individualized programs for people with medical conditions. Adapative Recreation offers programs for all individuals to experience the health and social benefits of team or individual sport or exercise. Further, the programs the facility offers will also be safe and provide adaptations to any given ability or diagnosis. What does ExercisABILITIES offer for inclusive fitness and adaptive recreation programming? 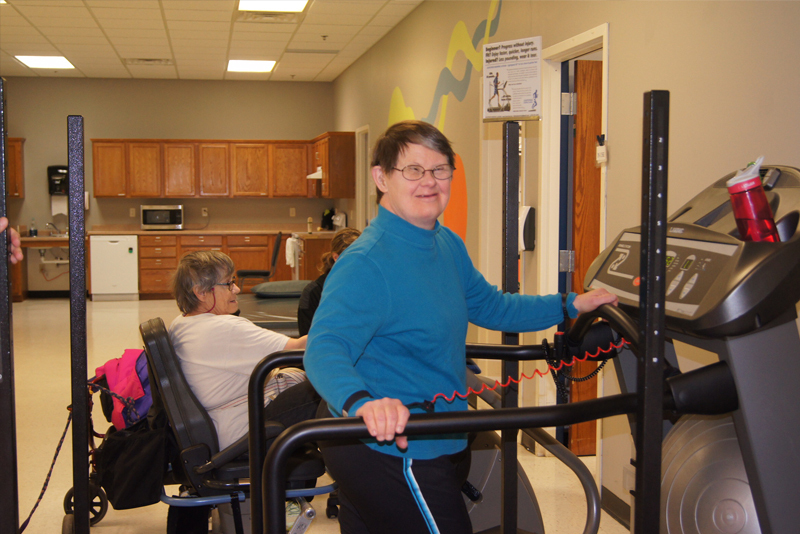 ExercisABILITIES offers many condition specific classes, healthy living education, and activities as you see below. Our staff consists of Exercise Physiologists, Physical Therapists, Occupational Therapists, Speech Therapists, Therapeutic Recreation Specialists and Personal Trainers. These staff members bring high levels of skill in order for your fitness program and rehabilitation therapy to be safe and effective. Watch this video about inclusive health promotion! A standard fitness facility typically offers equipment and activities designed for individuals with no need for modifications. Staff tend to be trainers with general certifications and no specialized medical knowledge. ExercisABILITIES is different. Our fitness classes are constructed specially for those with pre-existing medical, intellectual or physical challenges. EA staff consist of physical therapists, occupational therapists, exercise physiologists, and other specialists. We call this program “Forever Strong” because we are here for you for the long term to assure you stay healthy and strong for your whole lifespan. See how inclusive fitness can change how you move. Our exercise specialists are adept in medical fitness and sports conditioning. After your physical therapist gets you on the right track to rehab, EA personal trainers will help you reach your long-term health and strength goals. 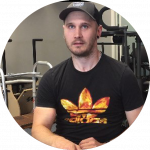 Our trainers have advanced specializations and certifications in order to accurately assess areas that require strength training, flexibility or retraining. 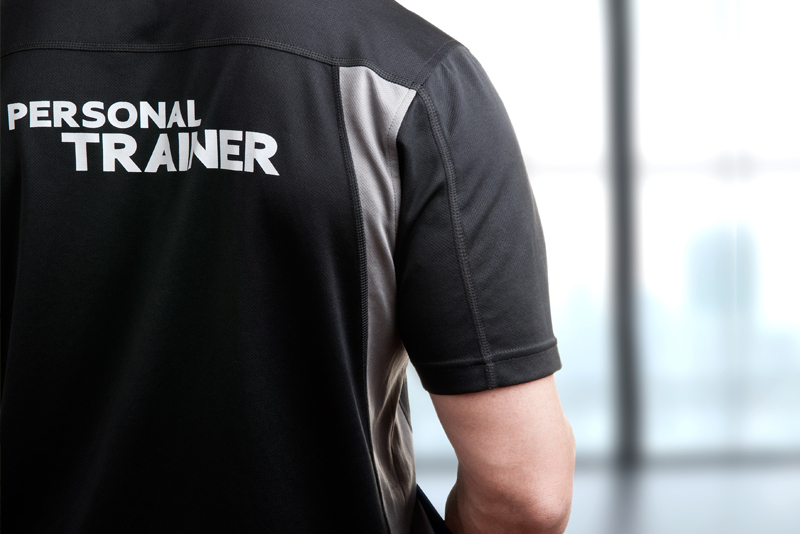 Find out how our personal trainers can help you reach your goals. At ExercisABILITIES, we understand it can be difficult to continue your own rehab routine after physical therapy and occupational therapy have ended. Oftentimes, the motivation and specialized equipment from physical therapy don’t follow you home. 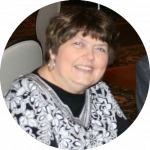 EA staff is dedicated to improving and continuing wellness for people of all ages and abilities. Discover how adaptive fitness can help you continue on your journey to optimal health. 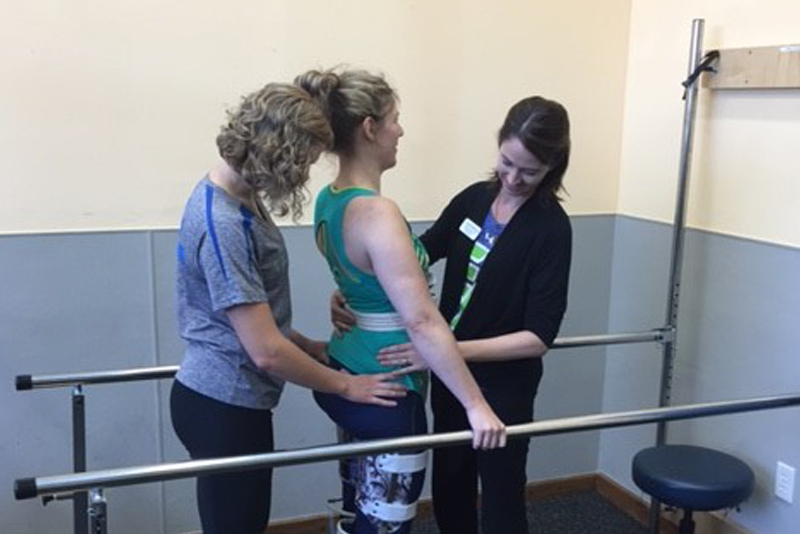 Are you in need of continued physical rehab after a spinal cord or brain injury? ExercisABILITIES offers specially designed activity based training programming based on the NRN (Neuro Recovery Network). Our facility is 100 percent accessible and our staff are certified in intensive neurological recovery for spinal cord and brain injuries, acute or long-term. 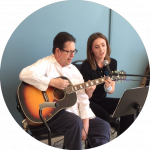 See how EA can provide continued care after a spinal cord or brain injury. 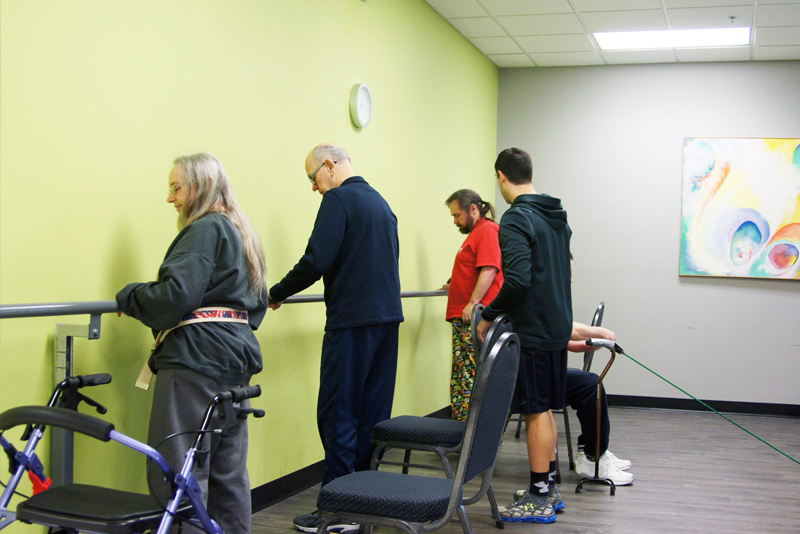 ExercisABILITIES’ knowledgeable neurological physical therapists are trained to evaluate individuals diagnosed with Parkinson’s disease, PSP, Lewy Body Dementia, MSA and other movement disorders. Our staff adheres to the latest research in exercise and physical therapy to better serve those living with Parkinson’s disease or other movement disorders. 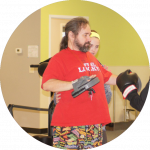 To get started in the Parkinson’s Wellness Recovery program, contact us for your Free Fitness Assessment. If you’ve had a stroke and wish to continue physical therapy, ExercisABILITIES can help you reach your health goals through the Stroke Exercise Program. 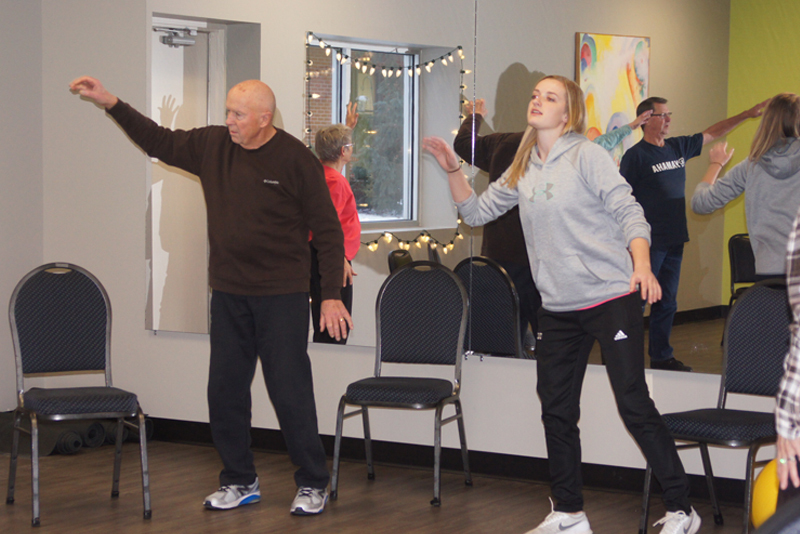 This specialized program helps individuals regain motor function, cardiovascular fitness, bone density, executive functions and memory after suffering a stroke. It’s also a great opportunity to socialize with others who have experienced the same challenges. Discover what our Stroke Exercise Program can help you achieve! 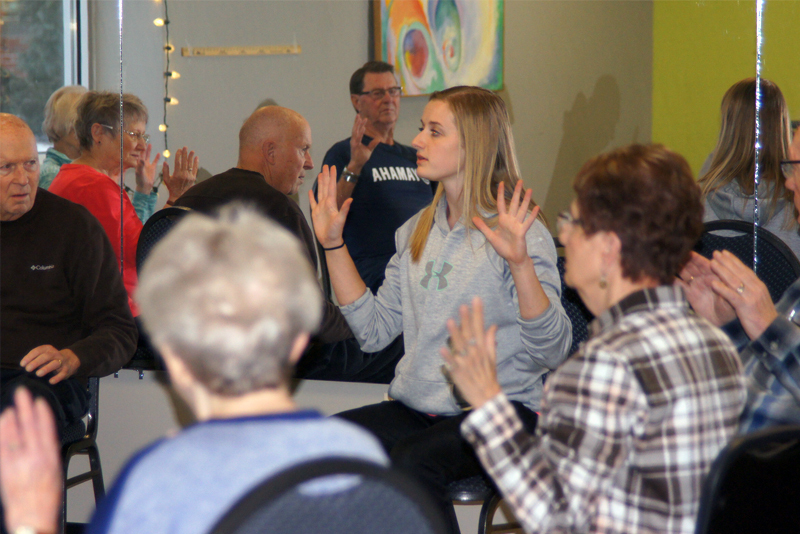 See what classes we offer, and learn more about the benefits of our Medical Fitness Classes.